The first issue of Image Comics anthology Ice Cream Man hits stands today, reuniting the Electric Sublime team of W. Maxwell Prince and Martin Morazzo, along with colorist Chris O’Halloran, for a disorienting, Twilight Zone-esque set of tales loosely connected by the titular frozen-dessert purveyor. 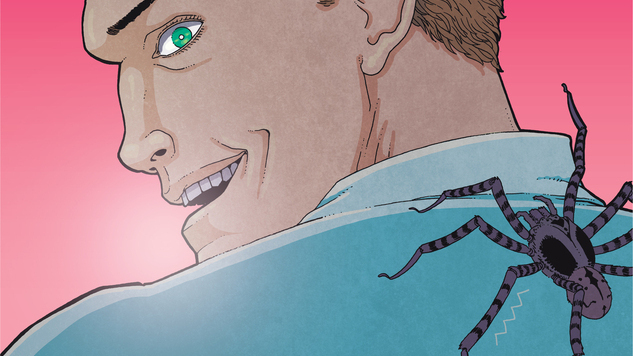 As readers of the horrific arachnid-focused debut will discover, the Ice Cream Man himself may adhere to only the loosest definitions of “man,” and the sugary cover hides some nasty surprises. Prince, Morazzo and O’Halloran shift focus, tone and even genre with every issue, and Paste has an exclusive peek at the second issue’s somber opioid-addiction outing, available February 21, as well as an unused cover for the first issue and the debut of issue four’s skeletal cover, below.